A distinct blend of acids and other acne-fighting ingredients, Skin Refine Gel from Rhonda Allison is perfect for acne-prone, rough, scarred, and oily skin. 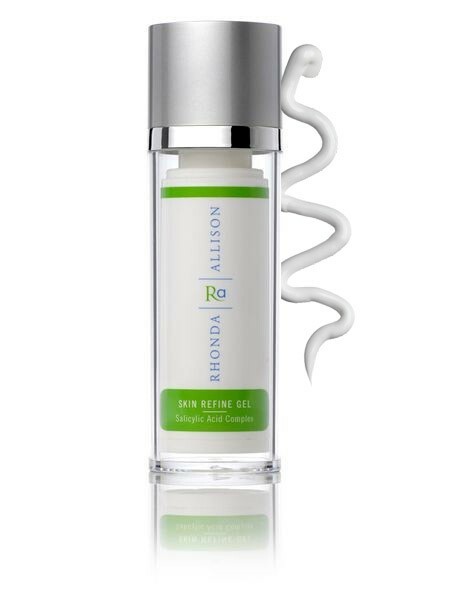 Designed to eliminate acne while also giving you a brighter, more even complexion, Rhonda Allison Skin Refine Gel will rejuvenate your look. HOW TO USE: To apply the Rhonda Allison Skin Refine Gel, first make sure to cleanse your skin with a gentle wash, such as the Rhonda Allison Glycolic Herbal Wash or the Rhonda Allison Pumice Wash. After properly cleansing the skin, pat the skin dry. Next, take a small amount of the Rhonda Allison Skin Refine Gel and apply a thin layer all over the facial and neck areas. Allow the product to absorb into the skin overnight. Depending on your skin type, this product should be applied anywhere from twice daily to every other night. The Skin refine Gel can also be used to spot treat specific acne areas or blemishes. Avoid the eye area when applying this product.